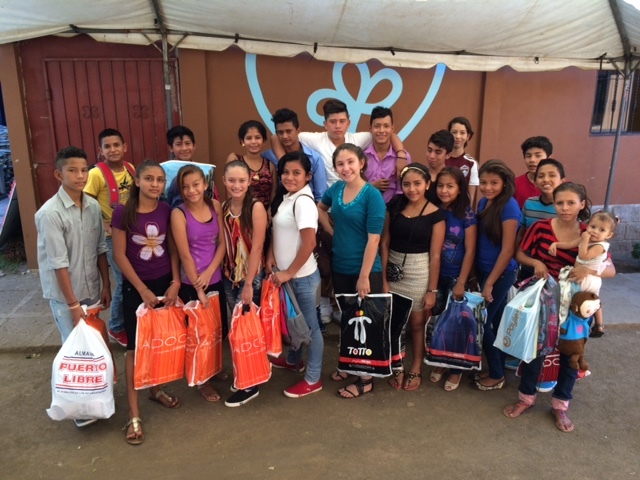 Every year for the past ten years we have selected a group of teenagers from alumni of Colegio Esperanza and offered them the opportunity to be a part of a program that will help them through their High School years. 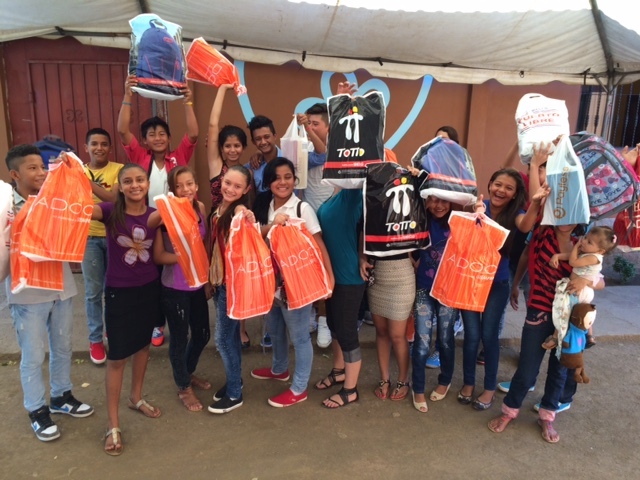 It is a great opportunity for us to continue our involvement in their lives. But also, help some students whose lives are pretty difficult and they are just trying to get ahead. This year we have a young mother named Adriana who is trying to finish High School on Saturdays and a young man named Ernesto who has been working selling tortillas everyday for his family since he was twelve. This is a small way we can join them in their efforts to succeed. 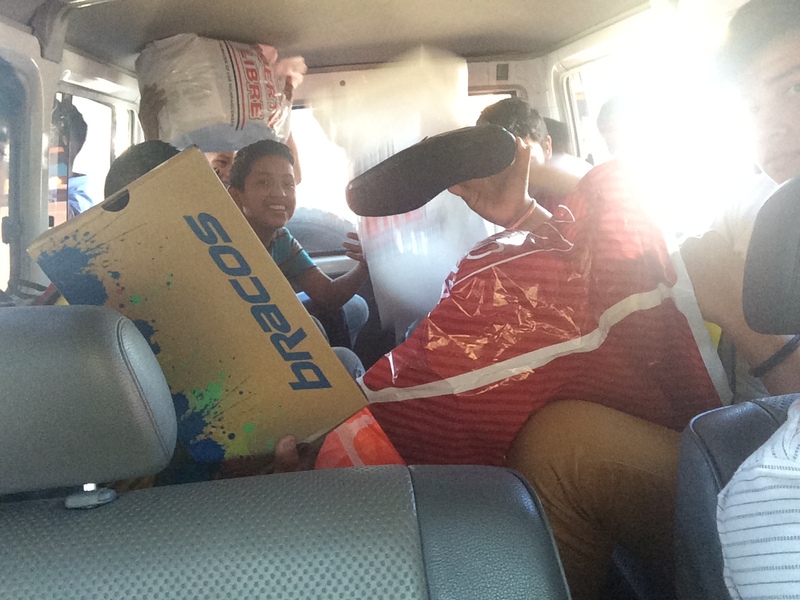 This week we are preparing for school to start so we went shopping for school supplies, new shoes and uniforms. It was fun to hang out with all of them and get to know them better. 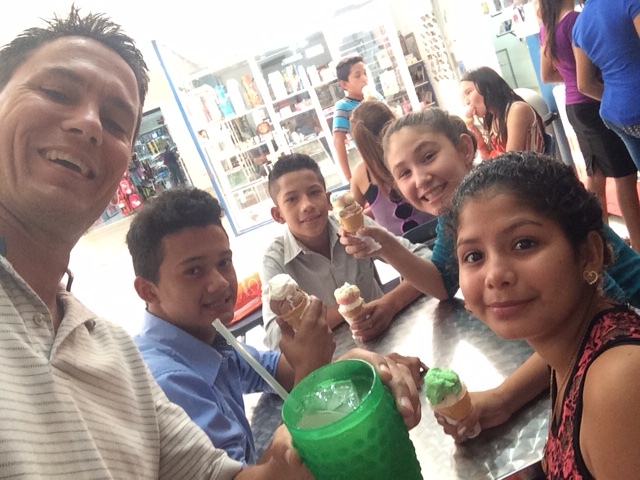 We always like to try and have lots of fun too so we stopped for ice cream at the Centro Comercial. I’d like to ask that you would please pray for each of them and their school year? It is a good bunch of kids, but they face all of the things that any teenager will face as they go through this time of life. We want to be there as a support for them, give them guidance and direction in the things of God, and see them succeed! We are looking forward to a good year! Speaking of having fun, in that last picture I had a little fun. Jose had been a bit of a wild man all day, and as a male leader with a bunch teenage boys I often get punched and sucker punched all day long. I can take and try to dish it back out, but I am getting old. 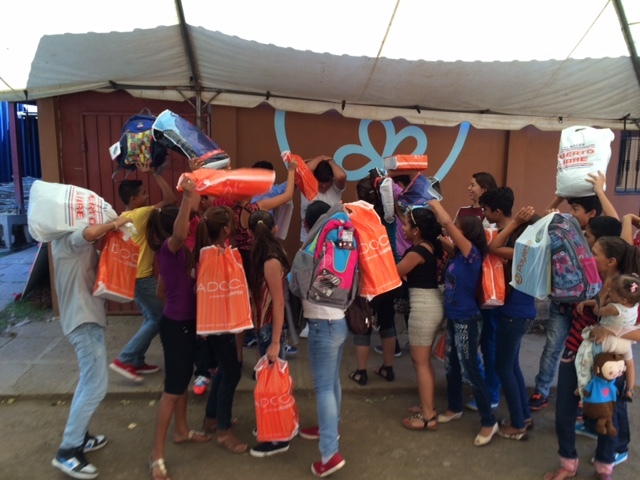 So, as I finished the group pictures I told everyone to swing some haymakers at Jose with their shopping bags….LOL, you can see him ducking for cover in the middle! A special thank you to Love, Light & Melody for their support in getting uniforms and school supplies to our High School kids for this 2016 year. If you are interested in helping financially in any way, please find donation info here (just note Club Esperanza). This group is one of the many ways we are blessed by God to be able to do good work in the lives of kids at Club Esperanza.